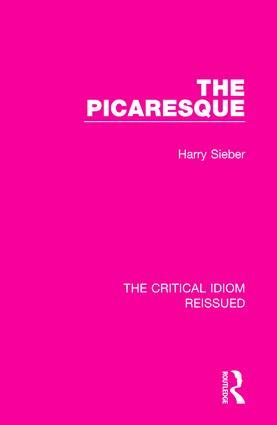 First published in 1977, this book studies the picaresque as a literary genre. It begins by discriminating between the literature of roguery and the picaresque in particular before discussing the origins of the genre in Spain and tracing its development into Europe. The book concludes with a brief description of ‘contemporary’ works which belong to the same tradition. In tracing the itinerary of the picaro in Europe and in America, it attempts to define a ‘myth’ of the picaresque which consists of two phases: the first being the traditional Spanish model of the picaresque and the second comprising of an ‘anti-picaresque’ myth, in which the ‘hero’ or ‘anti-hero’ no longer remains alienated but instead is the figure in which the ‘new’ society is formed.